Scientists at the nearby Vienna University received intriguing inspiration – to transform the asteroid into a space station and dig out it from the outside. Many visionaries dream of digging asteroids, but swimming in microgravity is difficult. The power of the asteroid power pushes you away. This is the main reason why scientists want to get through the space rock. However, there are a number of reasons and questions where a similar attempt to erase the asteroid could collapse. Scientists do not know whether digging a tunnel at a space station could weaken the asteroid so that it could smash it. It is also possible to stop turning while the tunnel is trying to dig. And if it's just as difficult to dig into an asteroid bell, do not you get the same trouble out of the inside? … a solid rock that rotates several times per minute. According to scientists from Vienna, such an asteroid would provide enough centrifugal force for the miners in space to kick them from within. "If you found a sufficiently stable asteroid, you would not need aluminum walls or the like. 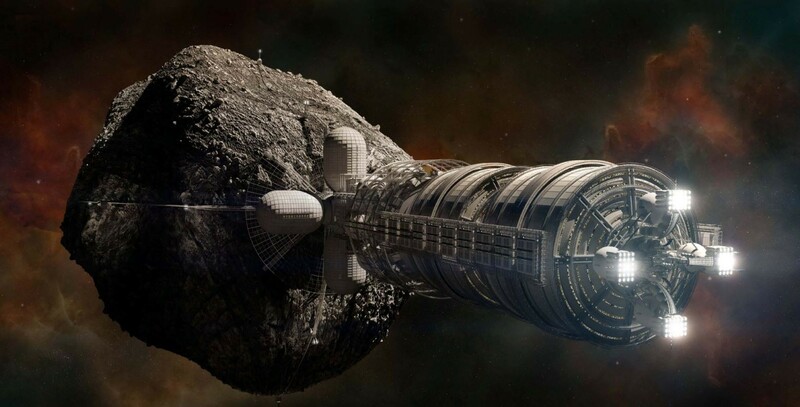 They would use the asteroid as a space station. says Thomas Maindl, one of the scientists working in research. "The boundary between science and fiction is somewhat blurred in this case. I have the feeling that we will have to wait 20 years for the extraction of asteroids, not yet on the space station, " he expressed himself.